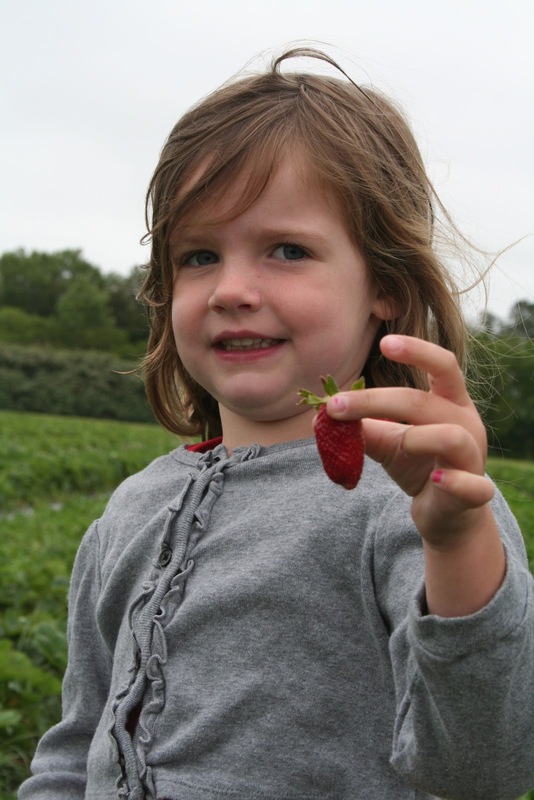 Strawberry season is here already in southern Virginia. We’ve gone to the fields two times and gotten two huge buckets of berries each time. 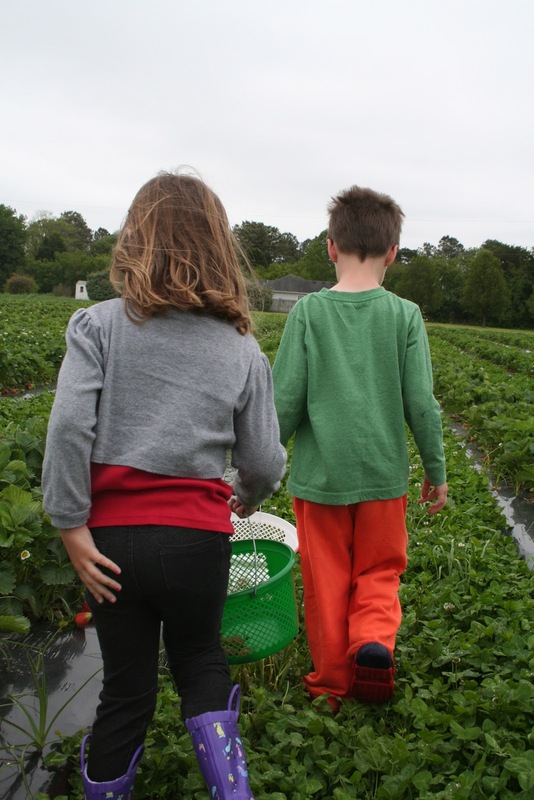 This year we headed to a different farm (than years past) for their organic berries and both Jack and Casey were excited to get fresh strawberries. The first trip was on a pretty chilly day. Casey was freezing and the “jacket” that she grabbed wasn’t keeping her very warm. But she carried the bucket for me and let me fill it up. 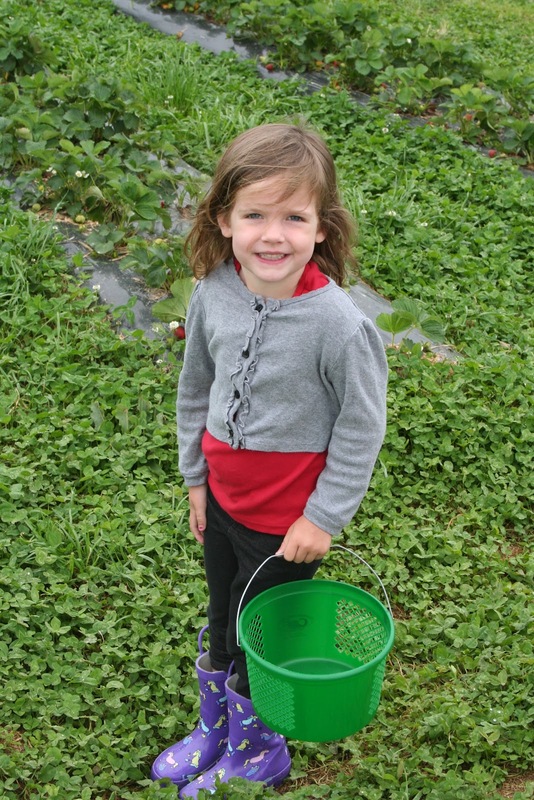 She’s not really much of a picker…just likes to watch the bucket get filled. Jack on the other hand, was spouting the strawberry rules to me almost verbatim from what he heard last year. “Mommy, don’t pick any with white on them. Make sure they’re all red. The white ones are ‘tomorrow’ berries.” He then reminded me that the proper way to pick the berries is the pinch the stem, not pull on it. I don’t have any pictures from our second trip that we took this week. There were a lot of red berries, so Jack didn’t have to remind me not to pick tomorrow berries. However, I might have reminded him about overly ripe red berries. He was exclaiming about how great the berries were and all the red ones he was finding. By the time I filled my bucket I couldn’t believe he had already filled his. He was so excited to find all those berries. For some reason it kind of made me love him even more that he so diligently picked all those berries and was so proud of himself. Even when I had to throw half of them away, I was still so proud of him. 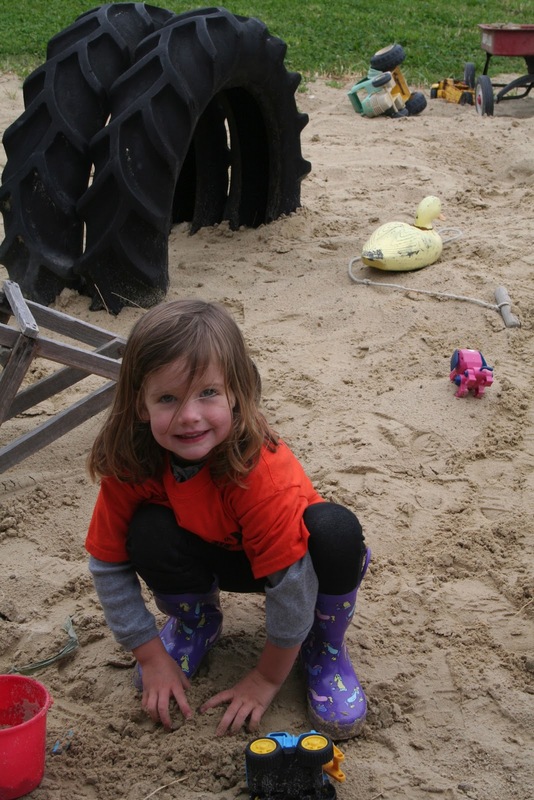 The nice thing about this farm is the sand pile beside the produce stand. The kids had a great time playing in it both days. 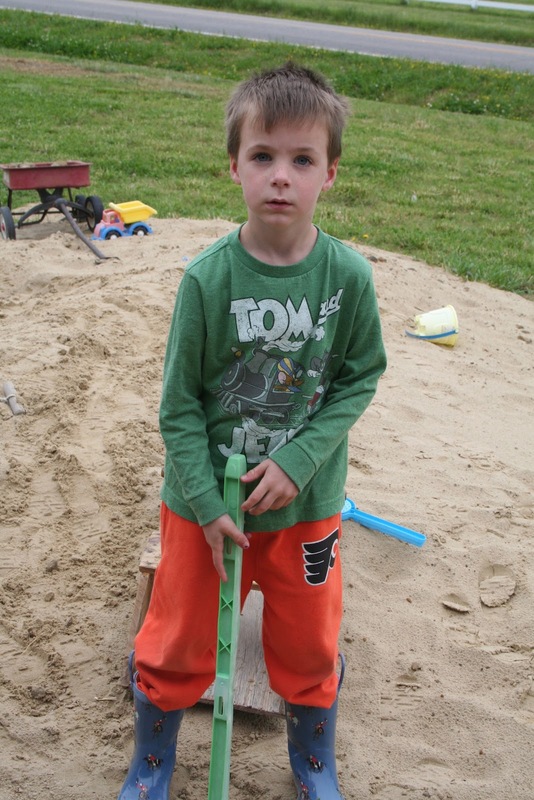 A big pile of dirt and lots of toys – what’s not to love? And while they played on the first trip, I had to go back and fill up the tops of the buckets as I realized I had paid by the bucket. The April edition of Southern Living has been very helpful with finding a use for all the berries. With the first batch, I made strawberry refrigerator jam, canned strawberry-honey jam, strawberry cream pie, strawberry salad, strawberry ice cream and froze about a quart. With the more recent batch I made strawberry caprese salad and we’ve just been eating them with some whipped cream. Jack claims he is tired of them already but not when I offered some whipped cream. I still have a bucket left…maybe some more jam. I was going to freeze a lot more but the garage refrigerator lost power and I have no more room left in the kitchen freezer.